In 2014 close to 1.35 million students applied for around 10,000 undergraduate seats in 217 courses at 16 IITs and Indian School of Mines Dhanbad, the latest entrant to the IIT system. This year 1.3 million candidates are vying for a coveted seat in any of the IITs. Thus, there is no denying the fact that the Joint Entrance Examination (Main) is one of the toughest tests in the World with an average elimination of 993 in 1000 applicants or more realistically speaking, selection of 65 per 1000 applicants in JEE (Advanced), the test for top 1,50,000 candidates in JEE (Main), weeding out those who don’t make the cut. The IIT system (excluding ISM) has nearly 59,600 students enrolled in all programmes at all levels, with the 8 established IITs – Bombay, Delhi, Guwahati, Kanpur, Kharagpur, Madras, Roorkee and Varanasi) having over 52,100 students. The faculty strength at these eight IITs is 3613 at an average of 452 per IIT with IIT Kharagpur having the largest pool of 594 faculty members (See Table). Among the 8 young IITs (Bhubhaneswar, Gandhinagar, Hyderabad, Indore, Jodhpur, Mandi, Patna and Ropar) it is the assistant professors, 84% in all, who are at the helm of teaching and administrative activity, and also manage to do research. The young IITs, as is evident, will be all the more promising when they become residential, leverage on more research facilities and also have more mentors as senior faculty members get recruited. However, an institute like IIT Jodhpur, which currently has no senior professors and banks only on Assistant professors, can be at disadvantage, holding the cord to progress. With respect to PhD students, the 8 mature IITs currently enroll over 13,750 students while the new IITs have 1650 PhDs. All the IITs thus award 1200+ doctorates every year. This is quite remarkable since these 16 institutes out of nearly 50,000 in the higher education domain, would constitute 5.2% of the 23,067 PhDs in 2012-13 as per the data from Ministry of HRD’s All India Survey on Higher Education (AISHE). In terms of student preference, however, the older IITs have an edge. In 2015, after the 2nd round of counselling, students with top 500 ranks opted to study in older IITs with the exception of IIT BHU. IIT Bombay was the most popular choice for 174 students followed by IIT Delhi (119) and IIT Kanpur (74). In fact, among the top 100 rankers, 64 opted for IIT Bombay, 30 for IIT Delhi, 3 for IIT Madras and one student wished to study at IIT Kanpur. Among the new IITs, for those who secured 1000+ ranks, IIT Hyderabad was the most preferred choice followed by Indore and Ropar. Frugal, optimal or deficient system? In a nation with 795-odd universities, IITs are a privileged lot. As far as annual expenditure is concerned (2013-14) IITs collectively spend around Rs. 4000 crores (US$63 million). The annual expenditure in 2013-14 varied from as high as Rs. 606 crores for IIT Bombay (less than 1 US$ million), Rs. 500 crores (IIT Kharagpur) or Rs. 118 crores (IIT Bhubhaneswar). This is microscopic as compared to say US$ 4200 million for a single university like Harvard or US$ 2600 million for University of California Berkeley. The same holds for endowment - with IIT Kharagpur reporting a figure of Rs. 284.11 crores or US$ 44 million and IIT Roorkee managing Rs. 19.71 crores or US$ 3 million as endowment corpus, these institutes are way behind, say Stanford University with an endowment of around US$ 18,700, or Oxford University at US$ 1700 million. Using comparative figures, it is obvious to be critical of how less the Indian government spends on higher education. The Gross Expenditure on Research and Development (GERD) too has remained stagnant at 0.9 per cent or even less if one accounts for inflation and out of which 58 percent is consumed by the strategic sectors (atomic energy, defence and space research). China, undoubtedly has invested heavily in higher education, unlike India where the funds have been reduced from Rs 16,900 crore to Rs 13,000 crore in Union Budget 2015-16 Plan allocations. However, factoring the fund limitations, the argument is that the yield per IIT will still be at par with the better-known institutions. Factor this: at an annual expenditure of less than US$ 1 million for IIT Bombay (estd. 1959) vis-Ã -vis say 115-year-old, top-50-ranked Carnegie Mellon University’s US$ 1100 million; the former is able to annually publish nearly the same number of 1700 papers in refereed journals with similar level of faculty productivity. IIT Kharagpur, IIT Delhi, IIT Bombay and IIT Madras – all the four individually have more number of publications than Ecole Normale Superieure at Paris or the equally promising Hong Kong University of Science & Technology with four times higher annual budget. The IITs particularly lack in internationalizing their capabilities, which is reflected in fewer citations and h-index. Similarly, the PhD to UG and PG student enrolment ratio in IIT Kharagpur is 0.47, meaning thereby that for every 100 UG and PG student, 47 are enrolled in PhD – somewhat similar to institutes like National University of Singapore. Another area where IITs excel globally is in students being admitted through a stringent criteria. Carnegie Mellon’s acceptance rate of students at 30% is too modest against an acceptance rate of IIT Bombay. 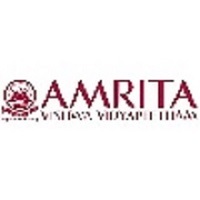 All IITs will score over institutes such as MIT or Harvard on this account. Pick any IIT and you will find highly skewed gender parity. The enrolled women students in all 17 IITs put together are at a mere 16.4% or 10,800 in June 2015. However, the situation was much worse two decades back when girls were reported to be less than 5%. Interestingly, at present, as one moves from undergraduate (UG) studies to PG and then to PhDs, the male to female student enrolment percentage gradually declines - from 90.4 in UG to 79.3 in PG and 74.6 in PhD programmes (all IITs). The new IITs, Hyderabad and Indore have the best gender balance in B.Tech with 19.2% and 12.8% respectively. In PG studies too, it is the new IITs (Gandhinagar and Bhubaneswar) that have a relatively noteworthy female to male ratio of 1:3 as compared to older IITs like Madras and Bombay at more than 1:6. However, IIT Delhi scores far better in churning out women PhDs (35%). Innovation and entrepreneurship have lately emerged as the buzzwords across institutions in India. The ecosystem in academic institutions is evolving around these two aspects, with the IITs playing an exemplary role. Not only do all the established IITs have an e-cell and incubation unit, but the new ones like IIT Ropar, Indore, and Jodhpur too have an active unit. 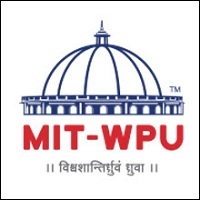 Some like IIT Hyderabad and IIT Patna will soon have an incubation unit/technology park. However, the culture of intellectual property protection is restricted to a few IITs (Kharagpur, Bombay, Madras, Delhi and Kanpur). These 5 IITs till March 2015, for instance, had a granted patent stock of 481 with IIT Kharagpur leading at 157. The opinion of faculty members at IITs is a complex mix of those who are against or in favour of a pro IP culture. The young faculty members in favour of IP are reportedly more in number. New IITs, Ropar and Indore in particular, have been able make an impression in getting IPR. Attuned to entrepreneurship, the e-cells and incubation units at a higher level, in select IITs harvest lot many ideas but only a fraction of them move on to the next stage that assesses their commercial potential and scalability. This is largely due to weak industry interface, lack of intensive research at campuses and insignificant attention on integrating real-life problems to the learning system. The problem was severe two decades back when the numbers of start-up firms from IITs were in single digits. However, today, the graduated companies (exited successfully from the campus) add to 87 from 3 IITs (Bombay, Delhi and Kanpur) and there are close to 400 incubatees in the mature IITs collectively. Interestingly, IIT Indore has managed to graduate two firms. 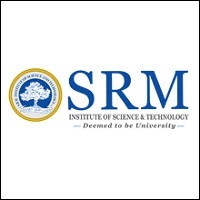 Apart from Indian Institute of Science, Bangalore and a few promising universities such as Anna University, Jadavpur University, AIIMS New Delhi, VIT Vellore, and University of Delhi; it is the seven mature IITs (Bombay, Delhi, Guwahati, Kanpur, Kharagpur, Madras and Roorkee) that occupy the top positions in maximum number of refereed publications. Based on Elsevier Science’s Scopus indexing database (March 2015), the seven IITs accounted for over 15% of India’s publication from universities. In terms of faculty productivity (number of refereed publications per faculty per year), citation impact (the number of times an article is cited); and h-index (measure of both productivity and impact of an author based on number of citations); these 7 IITs amass an average of 2.70, 2.41 and 28 respectively. 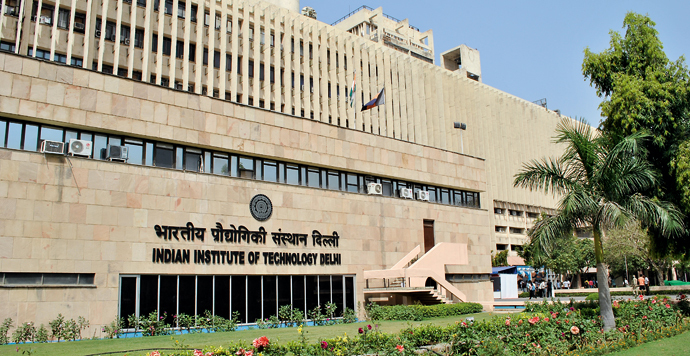 IIT Delhi is the most productive with an average of 3 papers per faculty in a year. IIT Bombay with h-index of 32 has faculty and researchers that are among the best in all IITs. It is in this space that the new IITs are getting highly aggressive. The citation impact, publications per faculty and h-index of IIT Indore at 4.7, 2.2 and 24 respectively outshines some of the established players. It is the maximum salary offered by older IITs that differentiate them from the new ones. However, the gap gets narrowed for the average salary per annum and is almost at par for the minimum pay package offered. For instance, the domestic annual pay-package at IIT Roorkee was a tad higher at Rs. 32 lakhs than Rs. 28 lakhs offered at IIT Ropar. Comparing at a global level, the RoI for a BS programme, say in Computer Science at Princeton University, would be much lower than IIT. The tuition fees for the 4-year BS at Princeton would cost US$ 41800, add the annual board and lodging expenses of US$ 13,000 and the total payout would be close to US$ 93,800 or Rs 60 lakhs. At IIT Kanpur for instance, the total payout for a 4-year B.Tech course would be Rs. 6 lakhs. Even if the typical early career salary offered at Princeton is US$ 60,000, the RoI would be 0.64 or in simple terms, in less than 20 months one can get full return on the investment subject to not spending a penny on anything else. In case of IIT Kanpur, where the typical early career salary offered is Rs. 10 lakhs or US$ 15,620 the RoI will be 1.67 which is much higher as one will be able to get full return in less than 8 months!